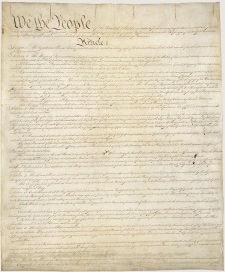 This Constitution, and the Laws of the United States which shall be made in Pursuance thereof; and all Treaties made, or which shall be made, under the Authority of the United States, shall be the supreme Law of the Land; and the Judges and other public officials in every State shall be bound thereby, any Thing in the Constitution or Laws of any State to the Contrary notwithstanding. Neither the Tenth Amendment, the Eleventh Amendment, nor any other provision of this Constitution, shall be construed to provide any state, state agency, or state officer with an immunity from liability for violating any act of Congress, or any provision of this Constitution. Excessive bail shall not be required, nor excessive fines imposed, nor cruel and unusual punishments such as the death penalty inflicted. As time passes, I am confident that the soundness of each of my proposals will become more and more evident, and that ultimately each will be adopted. The purpose of this book is to expedite that process and to avoid future crises before they occur. Printz v. United States: 1997. 5-4 ruling. Created an “anti-comandeering” rule, banning Congress from ordering state officials to carry out federal duties. Holding: Scalia, Rehnquist, O’Connor, Kennedy, Thomas ; Dissenting: Stevens, Souter, Ginsburg, Bryer. Davis v. Bandemer: 1986. 7-2 ruling. Adopted a lofty and cloudy standard for unconstitutional gerrymandering. Holding: White, Brennan, Marshall, Blackmun, Burger, O’Connor, Rehnquist; Dissenting: Powell, Stevens. Citizens United v. FEC: 2010. 5-4 ruling. Gave corporations the unlimited right to finance campaign speech. Holding: Kennedy, Roberts, Alito, Scalia, Thomas; Dissenting: Stevens, Ginsburg, Breyer, Sotomayor. McCutcheon v. FEC: 2014. 5-4 ruling. Gave individual persons the right to spend millions in a single election. Holding: Roberts, Scalia, Kennedy, Alito, Thomas; Dissenting: Breyer, Ginsburg, Sotomayor, Kagan. Edelman v. Jordan: 1974. 5-4 ruling. Let Illinois skate on paying damages for past non-compliance with a federal law for aiding aged, blind and disabled persons. Holding: Rehnquist, Burger, Stewart, White, Powell; Dissenting: Douglas, Brennan, Marshall, Blackmun. Alden v. Maine: 1999. 5-4 ruling. Citing an unwritten state sovereignty rule imagined to be in the “plan of the [Constitutional] Convention,” forbade Congress to authorize suing a state for violations of Fair Labor Standards Act. Holding: Kennedy, Rehnquist, O’Connor, Scalia, Thomas; Dissenting: Souter, Stevens, Ginsburg, Breyer. Kansas v. Marsh: 2006. 5-4 ruling. Allowed a judge’s jury instruction to choose the death penalty when aggravating and mitigating evidence were equal in weight. Holding: Thomas, Roberts, Scalia, Kennedy, Alito; Dissenting: Stevens, Souter, Ginsburg, Breyer. United States v. Miller: 1939. 8-0 ruling. Held that Congress could ban possession of a sawed-off shotgun because that weapon had no reasonable relation to “a well regulated Militia.” Holding: McReynolds wrote unanimous opinion; Not Involved: William O. Douglas. District of Columbia v. Heller: 2008. 5-4 ruling. Threw out a Washington, D.C., law and created a new Constitutional right for a civilian in D.C. to keep an enabled handgun at home for self-defense. Holding: Scalia, Roberts, Kennedy, Thomas, Alito; Dissenting: Stevens, Souter, Ginsburg, Breyer. McDonald v. Chicago: 2010. 5-4 ruling. Threw out a Chicago handgun ban, and extended the Court’s newly-created Constitutional right for a civilian to keep a handgun to the states. Holding: Alito, Roberts, Scalia, Kennedy, Thomas; Dissenting: Breyer, Ginsburg, Sotomayor, Stevens. strongest proposed amendment “We the People Amendment” – MoveToAmend.org; House Joint Resolution 29, Introduced Feb. 14, 2013. Good article but it should be mentioned that the Bill of Rights already reduced the size of the districts with the ratified Congressional Apportionment amendment. Short once states vote, no one ever looked in Connecticuts voting records but misfiled in 1788 is Connecticuts voting of the Bill of Rights and all 12 amendments were ratified. With that vote, the CAA is ratified and needs to be applied to Congress as soon as possible. While half of you won’t like the amendment, it’s still a ratified amendment and needs to be followed. We are a nation of laws, aren’t we? Thanks. This article had 13K Facebook shares from the Daily Kos website and Facebook page.